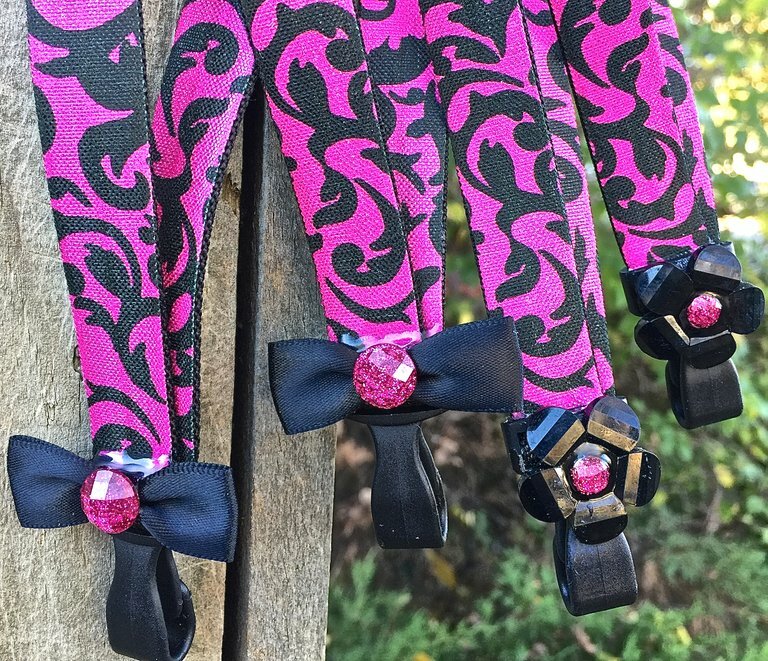 These lanyards are all about the things that girls LOVE! This lanyard is made of 5/8 inch wide velvet backed leather trim with a protective coating for durability. It features a Swivel snap hook and is 19 inches long . 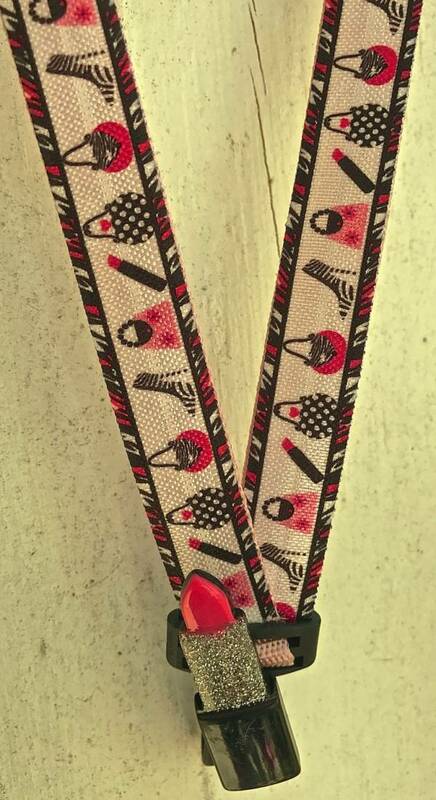 This lanyard has the design attached to pink webbing and is 5/8 inch wide. It features a Non-Swivel snap hook, is 21 inches long and has a resin 3D tube of lipstick embellishment. This lanyard has the design attached to blue webbing and is 5/8 inch wide. It features a Non-Swivel snap hook, is 21 inches long and has a rubber pink and blue flip flop embellishment. 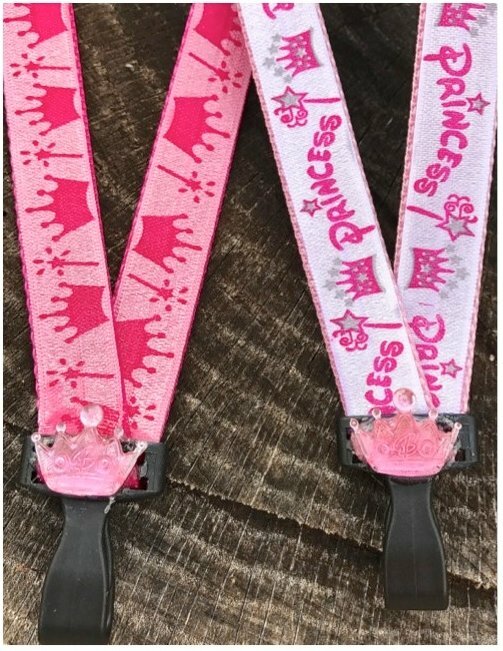 This lanyard has the design attached to pink webbing and is 5/8 inch wide. It features a Non-Swivel snap hook, is 21 inches long and has a resin 3D lilac perfume bottle embellishment. 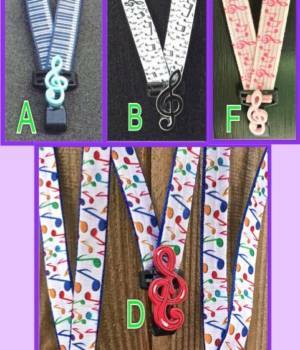 This lanyard has the design attached to pink webbing and is 5/8 inch wide. It features a Non-Swivel snap hook, is 21 inches long and has a resin 3D light yellow perfume bottle embellishment. 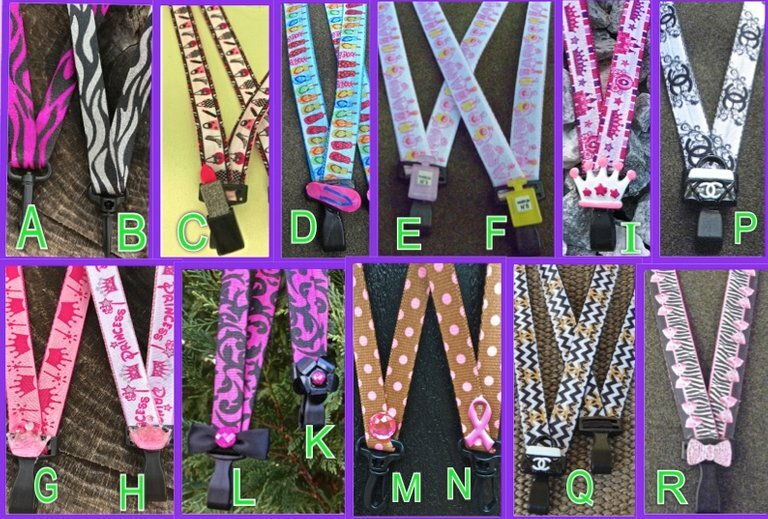 This lanyard has the design attached to pink webbing and is 5/8 inch wide. It features a Non-Swivel snap hook, is 18.5 inches long and has a pink crown gem embellishment. 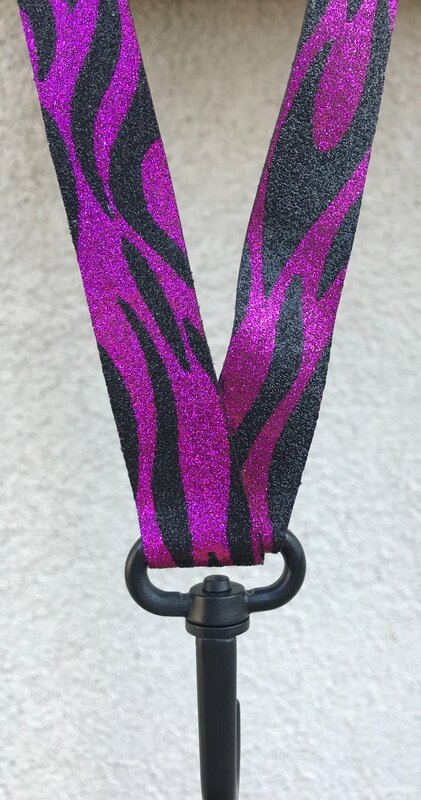 This lanyard has the design attached to pink webbing and is 5/8 inch wide. It features a Non-Swivel snap hook, is 21 inches long and has a resin 3D crown embellishment. This lanyard has the design attached to black webbing and is 5/8 inch wide. It features a Non-Swivel snap hook and is 20 inches long. This lanyard has the design attached to black webbing and is 5/8 inch wide. 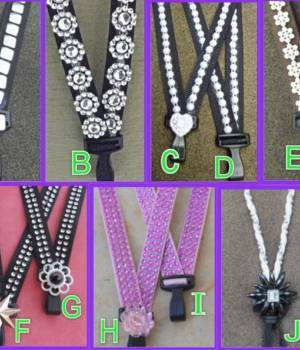 It features a Non-Swivel snap hook, is 20 inches long and has a black 3D resin flower embellishment. This lanyard has the design attached to black webbing and is 5/8 inch wide. It features a Non-Swivel snap hook, is 18.5 inches long and has a black fabric bow embellishment. 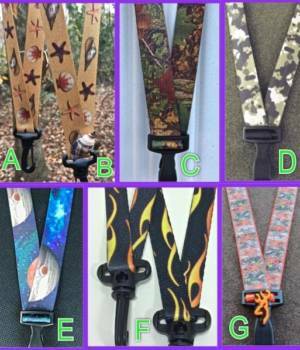 This lanyard is 5/8 inch wide medium weight photo quality webbing. It features a Swivel snap hook, is 19 inches long and has a pink gem embellishment. This lanyard is 5/8 inch wide medium weight photo quality webbing. It features a Swivel snap hook, is 19 inches long and has a plastic pink ribbon embellishment. This lanyard has the design attached to black webbing and is 5/8 inch wide. It features a Non-Swivel snap hook, is 21 inches long and has a 3D resin purse embellishment. This lanyard has the design attached to black webbing and is 5/8 inch wide. It features a Non-Swivel snap hook, is 21 inches long and has a pink sparkle bow embellishment.